Latest News: Scotland is in World Cup 2014…well our pubs and bars are. Scotland’s national football team may not have made it into the Brazilian World Cup 2014, but Scotland’s pubs and bars will still be celebrating the world’s most prestigious tournament in style. Angels Hotel in Lanarkshire, affectionately called “The Love Pub, was picked to be part of our Story to Tell initiative because it is famous not just as a meeting place but for staff falling in love and subsequently marrying! It seems apt that one of these stories relates to the World Cup – the current bar manager, Claire Farr, met her husband when he was the manager of the bar at a previous World Cup. In their case, love really does equal football. Sampling on the hour every hour. 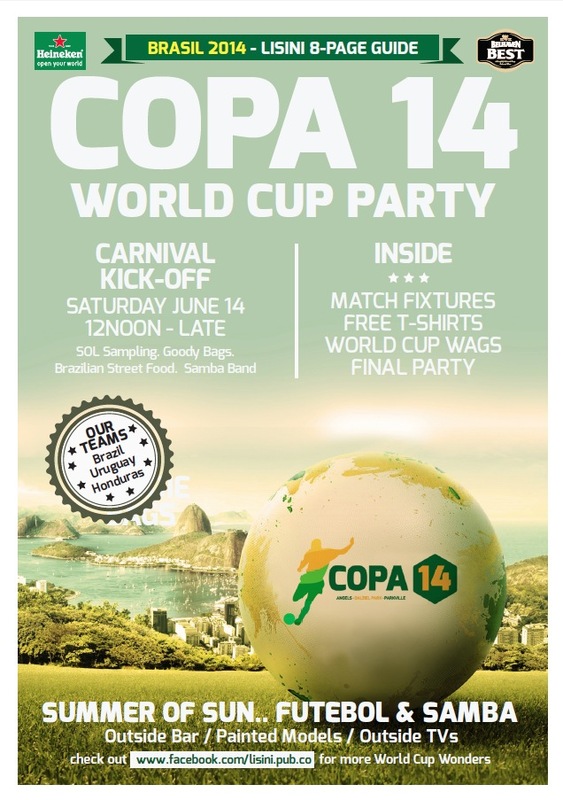 The Brazilian – the ultimate party night for women only on 5 July including live music, Butlers in the Buff, a 2 course meal for £20 and more prizes. 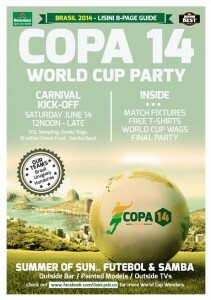 The Final Party on Sunday 13 July – a ticketed party including a 5 course meal and sombreros. And so they have someone to cheer on, the pub has selected three teams of their own to support through the tournament: Brazil, Uruguay and Honduras.